Location: Belvedere Castle (mid-Park at 79th Street). 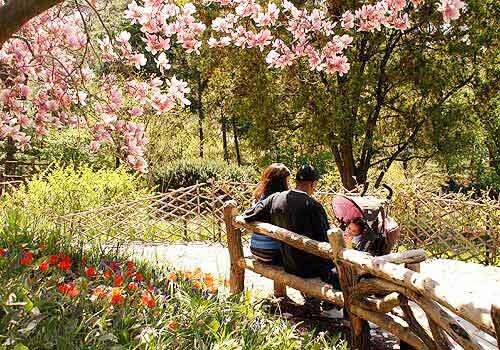 Join Central Park Conservancy Zone Gardener, Larry Boes, on a special guided walk celebrating Shakespeare Garden’s 100th Anniversary. The Garden, dedicated to the memory of William Shakespeare in 1916, is reminiscent of Shakespeare’s native English country gardens and features flowers, plants, and shrubs mentioned in the Bard’s writings. Explore the Garden’s diverse array of plants and learn how Conservancy staff maintain this naturalistic looking design, making it a retreat within Central Park. For more information, please review our Frequently Asked Questions (FAQ). For weather cancellation and other ticket policies, please review our Policies carefully. Conservancy members, you will be prompted to enter your discount during checkout on the next page. Please refer to your membership card or email membership@centralparknyc.org to locate your discount code.